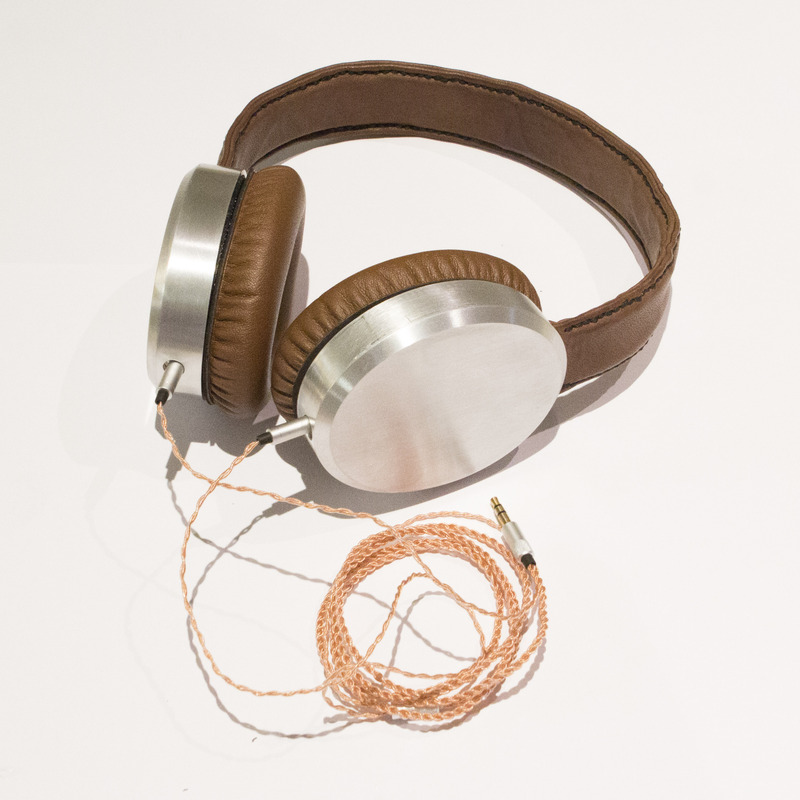 What Makes Great Headphones Great? When I created the Homebrew Headphones deisgn, I wanted to make it easy for others to adapt in all sorts of wild and wonderful ways. 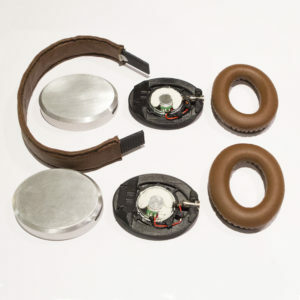 Hence all the design complexity is in the baffle and the ‘look’ of the headphones can be completely changed by modifying only the cover. This is my first attempt at adapting the design, giving it a luxe look, with CNC machined aluminium covers and a leather wrapped headband. The leather on the headband was bought from my local fabric shop and hand stitched (not perfectly!) over the 3D printed headband. The cushions are Bose replacements. The 3D printed parts are the same as the designs available for download on this website (with some slight improvements I’m trialling for the next version). 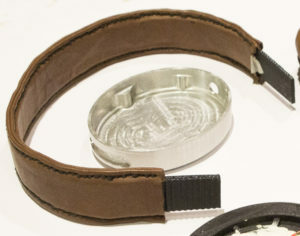 The covers are pretty much the same as the 3D printed design, except the slot for the headband was enlarged (to fit the leather) and there were some small changes to the inner details to make them machineable. They were machined by a machine shop I found on AliExpress and cost US100 landed. For some reason these cables had a different configuration to the Sol Republic ones I normally use, so had to wire the driver to the other positive tab on the jack. I am super pleased with the outcome – the brown leather and aluminium look very classy and the sound is great. My only gripes are that the cushion and headband colours don’t quite match and that the plastic mounting pieces on the cusions look a bit mediocre and are a bit uneven around the perimeter. There will be a version 2 eventually, perhaps with bluetooth instead of wired…. First off, all thanks for the information you shared? I have taken your design and made some modification I must admit it is very hard to fit all the components correct. I have a question on the machined part (cover) that you have made. How will the headband fit to the cover, because there snap fit option left? How was it hard to fit all the components? The headband fits onto the baffle rather than the cover. There is a hole in the cover for the headband.